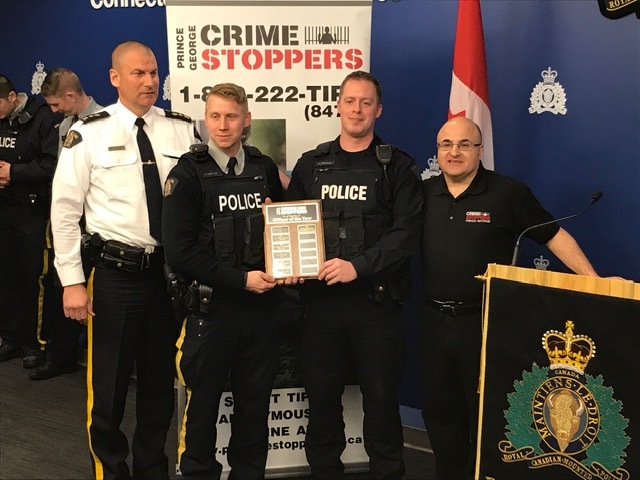 Prince George Crime Stoppers would like to congratulate co-officers of the year, Cst. Mike Mikkelsen and Cst. Dave Hallmark. 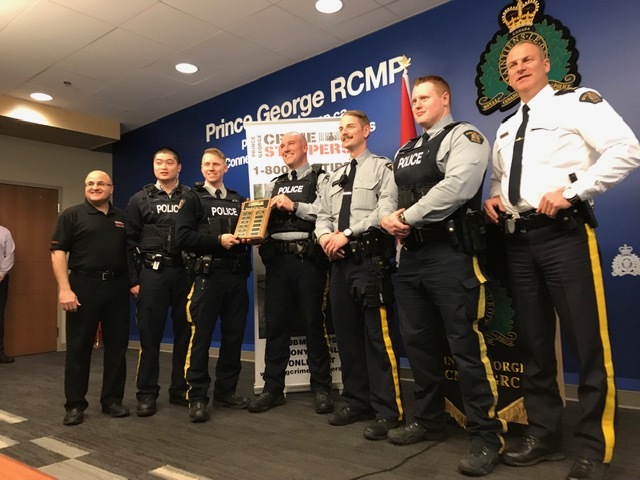 The Traffic Services Section is the 2018 Watch of the Year. Congratulations to Sgt. Matthew LaBelle, the supervisor in charge of the Detachment's Traffic Services Section. Through his leadership, the Traffic Section has actively sought after information from the public through the Crime Stoppers program to seek out persons that are actively driving when they should not be. This includes impaired driving and prohibited drivers.